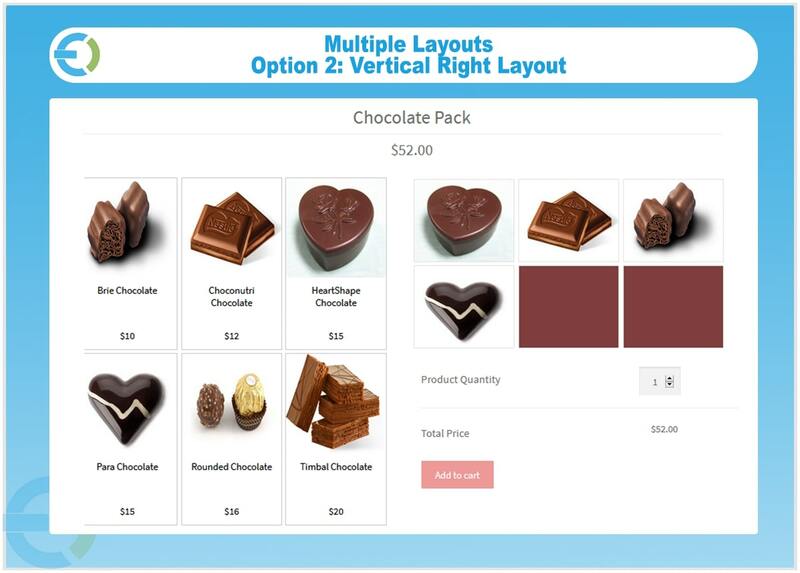 This all-in-one WooCommerce Mix & Match plugin allows you to create product boxes to boost your store sales and allow shoppers to custom pick their items and prepare a complete box. 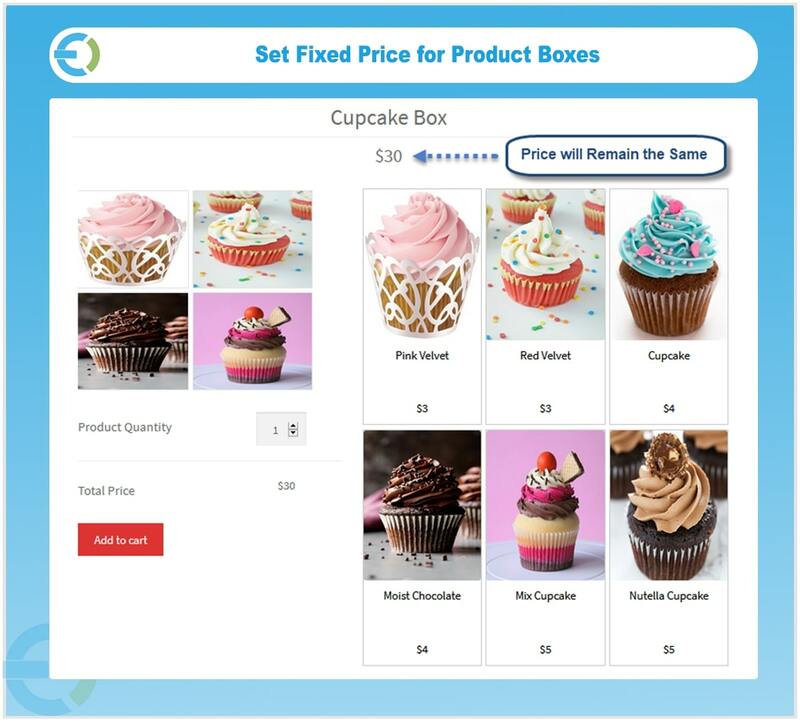 This helps customers make their own assortments of preferred items and send them as gift boxes to their loved ones, better yet, send them to themselves! With customization options you can define the size of the box (number of items in container), create pre-built product boxes, use multiple layout options, implement different pricing structures and allow customers to attach personal message with gift box. This entices customers by saving their valuable time and money when shopping from your store. 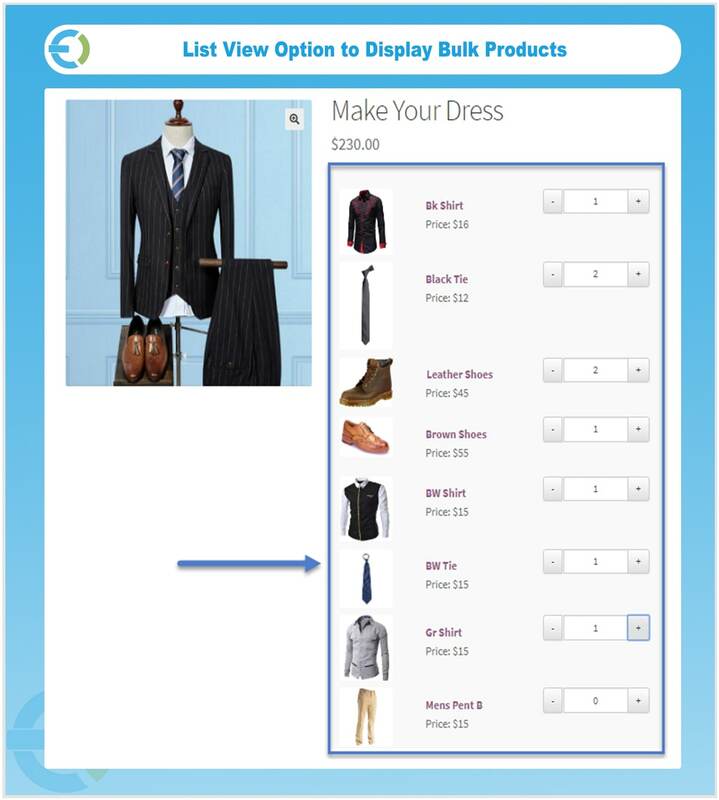 With WooCommerce Mix and Match plugin you can allow customers to dynamically create their own assortment of products. 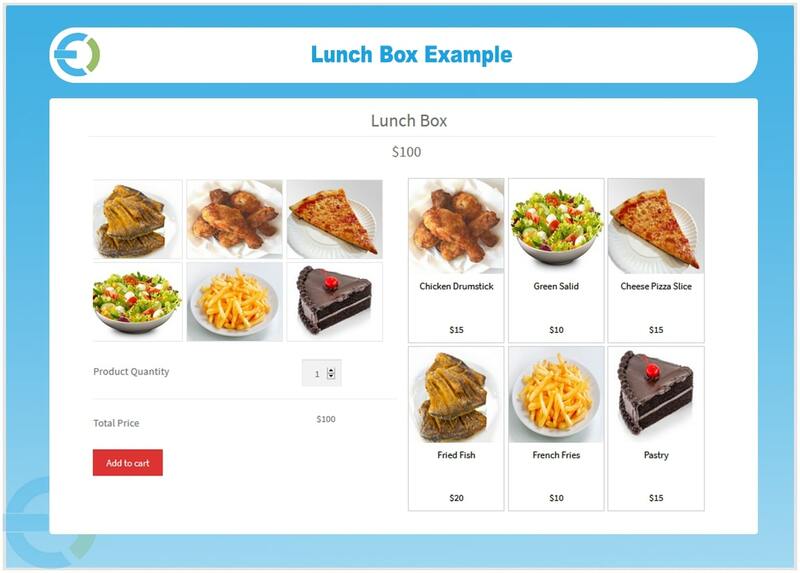 You can create various types of boxes such as Shirts, Drinks, Lunch, Perfumes, and Desktop items etc. 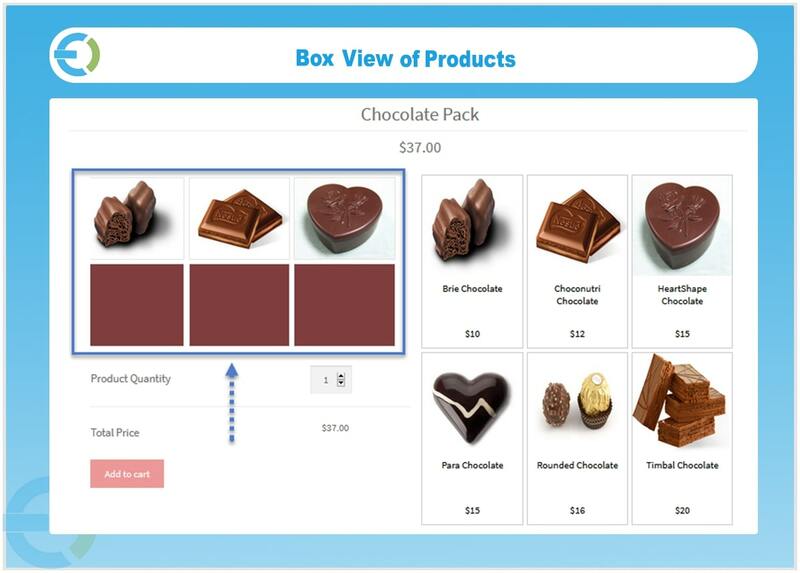 WooCommerce custom product box plugin provides options to display products in a list view if you want to offer bulk products for each box. 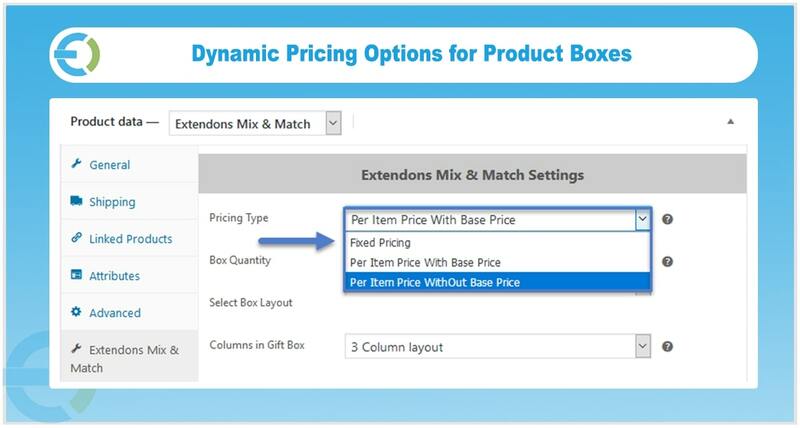 It enables dynamic pricing options for bundled products. You can set price on container as fixed, per product or without base price of product box. 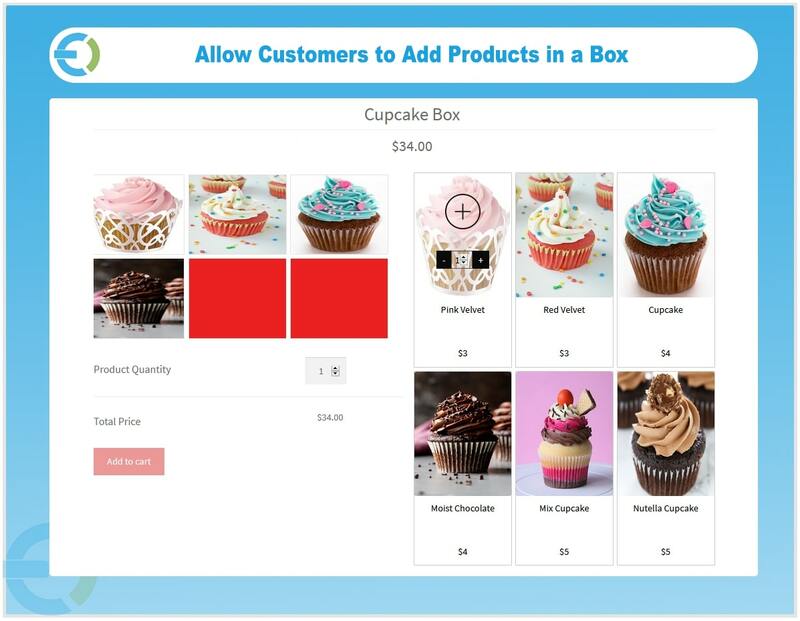 You can add simple products to product inventory or add variations of the product so customers can create their own combination without being forced to buy item that don’t interest them. 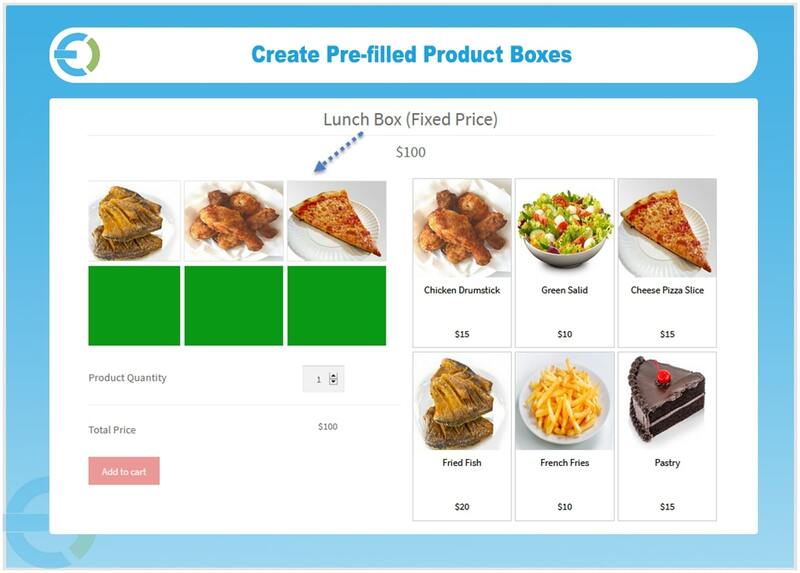 Instead of selling a full box, you can also allow customers to buy a partially filled box. You can fix the minim number of products required to purchase the box. You can prefill the box partially or fully with specific items and set them as mandatory or optional. The customers can remove the “optional” pre-filled items and replace with the ones available in selection. This feature gives your customers the privilege of sending a personal message along with the gift box to their loved ones. WooCommerce mix and match products plugin is fully compatible with WooCommerce Product Options Plugin. 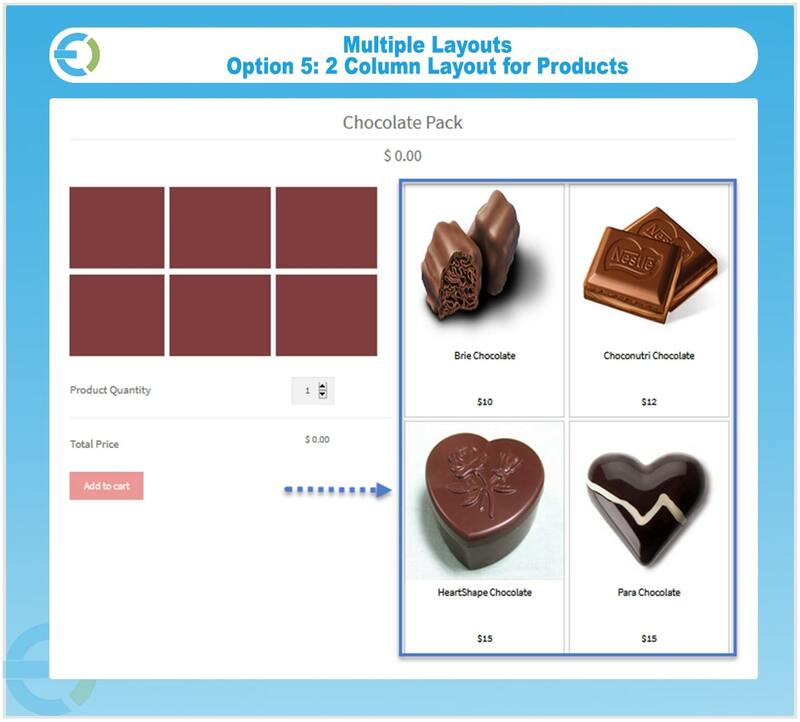 You can select from a list of layout templates and easily enable them to display boxed products on your website.